“Today we the leaders of the Nigerian Senate reiterate our innocence against the charges filed by the Attorney General of the Federal Government of Nigeria at the Federal Capital Territory (FCT) High Court on the allegations of forgery of the Senate Standing Rules document. “In our view, the charges filed by the Attorney General represent a violation of the principle of the Separation of Powers between the Executive Branch and the Legislative Branch as enshrined in our Constitution. Furthermore, it is farcical to allege that a criminal act occurred during Senate procedural actions and the mere suggestion demonstrates a desperate overreach by the office of the Attorney General. These trumped up charges is only another phase in the relentless persecution of the leadership of the Senate “This misguided action by the Attorney General begs the question, how does this promote the public interest and benefit the nation? At a time when the whole of government should be working together to meet Nigeria’s many challenges, we are once again distracted by the Executive Branch’s inability to move beyond a leadership election among Senate peers. It was not an election of Senate peers and Executive Branch participants. “Over the past year the Senate has worked to foster good relations with the Executive Branch. It is in all of our collective interests to put aside divisions and get on with the nation’s business. We risk alienating and losing the support of the very people who have entrusted their national leaders to seek new and creative ways to promote a secure and prosperous Nigeria. As leaders and patriots, it is time to rise above partisanship and to move forward together. “However, what has become clear is that there is now a government within the government of President Buhari who have seized the apparatus of Executive powers to pursue their nefarious agenda. “This latest onslaught on the Legislature represents a clear and present danger to the democracy Nigerians fought hard to win and preserve. The suit filed on behalf of the Federal government suggests that perhaps some forces in the Federal Republic have not fully embraced the fact that the Senate’s rules and procedures govern how the legislative body adjudicates and resolves its own disputes. “Let it be abundantly clear, both as a citizen and as a foremost Legislator, I will continue to rise above all the persecution and distraction that have been visited on me. In the words of Martin Luther King Junior, “the ultimate measure of a man is not where he stands in moments of comfort and convenience, but where he stands at a time of challenge and controversy.” “I will remain true and committed to the responsibilities that my citizenship and my office impose on me. The Senate president, Bukola Saraki, and the deputy Senate president Ike Ekweremadu have been officially served with charges of criminal conspiracy and forgery by a Federal Capital Territory High Court. Both parties have been accused of forging the Senate Standing Rules 2015. The charges were pasted on the notice boards of the Senate at the National Assembly on Tuesday, June 21, by a court bailiff. 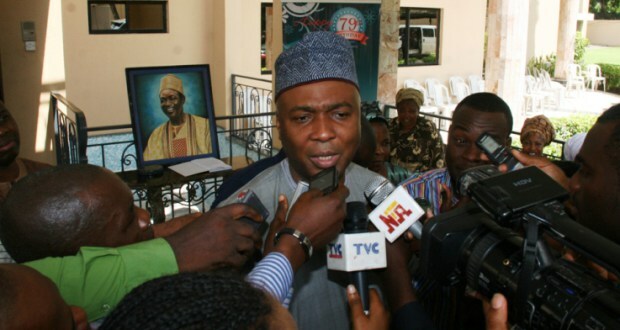 Meanwhile the Senate president and deputy Senate president appeared at the court on Monday, June 27. The forgery case against Saraki and Ekweremadu brought before an Abuja High Court was earlier stalled as court officials confirmed that the two presiding officers of Senate had not been properly served with the charges.